Portmeirion Butter Dish. Dishwasher And Microwave Safe. 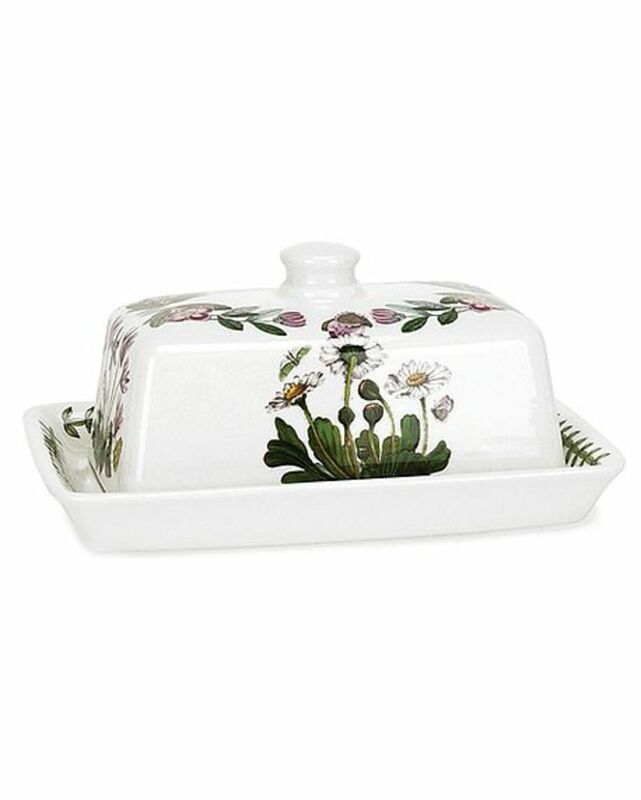 This classic piece of tableware features Daisy, Cyclamen and Rhododendron motifs. 18x13cm. Dishwasher and Microwave safe.